The fourth and final round of the 2018 South-African ORE 1/12th national championship series was held at the Welkom RC Arena on Saturday 24 November 2018. A small number of drivers entered for the event but each driver enjoyed the pleasure of 1/12th racing at this great facility. It was the local man Antonio Caroli who showed his good consistency and pace securing a dominant TQ and also winning A1 and A2 to secure victory. 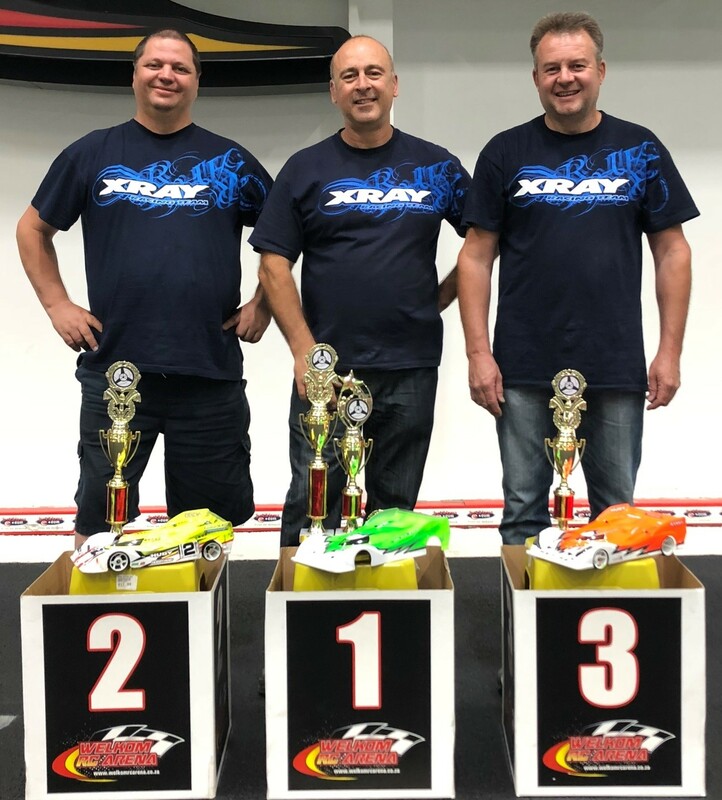 There was a great battle for second between Xray team mates Shaun Schutte and Willie du Plooy with Shaun securing 2nd place and Willie a well-deserved 3rd place. The 2018 series leader and winner Francois Laubscher did not attend the event so it was up to Pat Lester, Bianka Landman and Ewert Snyman to battle for the honours. 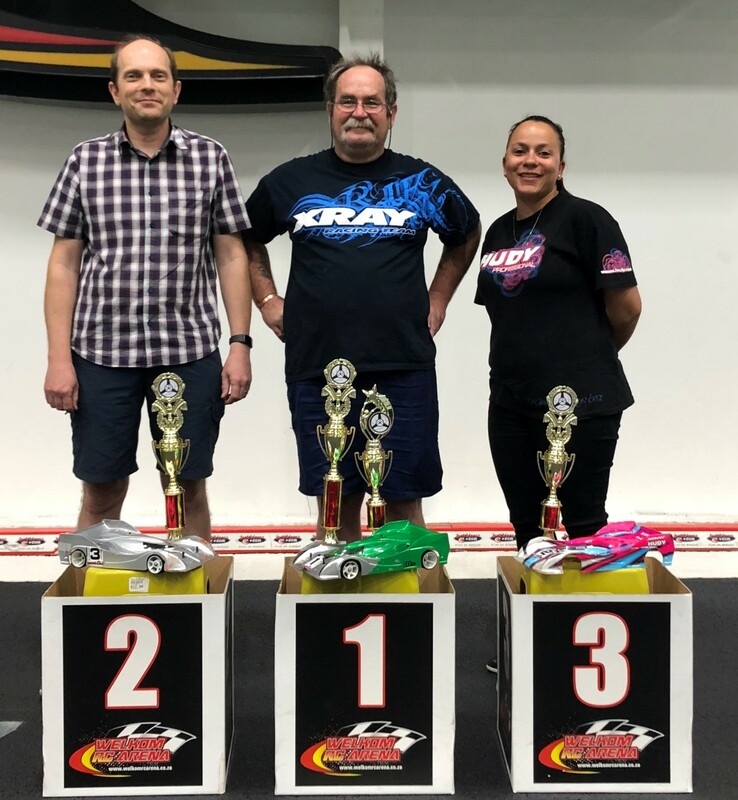 Pat managed to secure TQ spot as well as the win with good consistent driving. Ewert Snyman who returned to RC racing after an absence of nearly 4 years managed to secure the 2nd place followed closely by Bianka in 3rd.